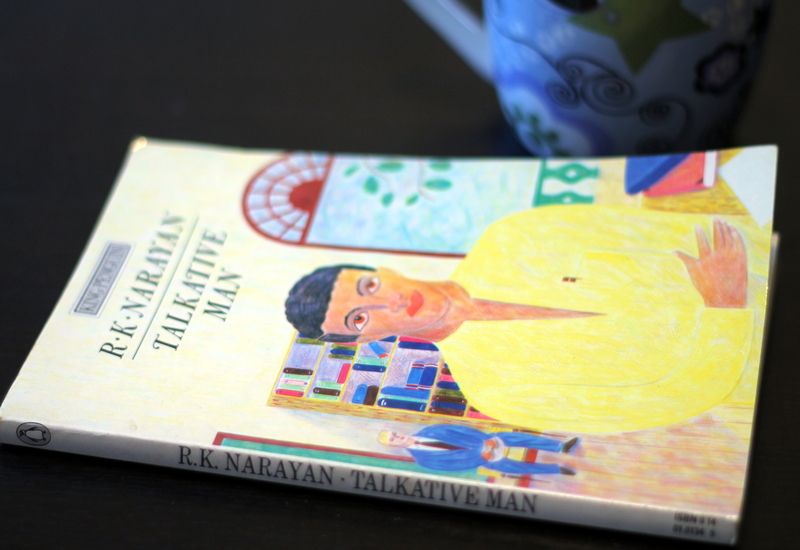 This is another one of Narayan’s stories taking place in the fictional city of Malgudi. This time the story is narrated by an aspiring journalist, whose family fortune enables him not to worry about his livelihood. One day a man in a blue Oxford suit turns up in Malgudi and stays in the train station’s waiting room apparently working ‘on a project for the UN’. To start off the stranger seems quite annoying, and the station master is trying to get rid of him, as the waiting room isn’t really meant for people to stay there for days on end. The journalist is trying to help and ends up inviting the stranger to stay at his home. All-in-all in this novel we’re dealing with a classical Don Juan – a charmer and a liar, who has many women chasing him for one reason or another. It is interesting, although mostly I just felt bad for the townsfolk who were fooled by the stranger, and especially for the young girl that falls for him and the poor taxi-driver who hopes to be able to get a fancy car if he keeps driving around the generous stranger. This entry was posted in Fiction and tagged book review, books, R. K. Narayan. Bookmark the permalink.